Salesperson Training Program, Salesperson Relationship Competence, Customersâ€™ Orientation, Salespersonâ€™s Performance. This study aims to develop empirical model the relationship between salesperson training program on salesperson relationship competence and customer orientation, the relationship between customer orientations on salesperson’s performance. The sampling technique use purposive sampling with 158 salespersons on consumer goods in Central Java Indonesia. The data were gathered by interview and questionnaire combination given to respondents. The data were analyzed using SEM (Structural Equation Modelling). The finding of this study showed that salesperson training program has a positive effect on salesperson relationship competence. Salesperson training program has a positive effect on customers’ orientation. Salesperson relationship competence has a positive effect on customers’ orientation. 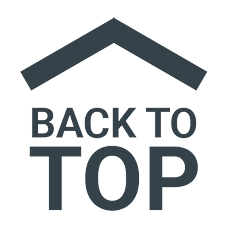 Customers’ orientation has a positive effect on salesperson’s performance. Asfaw, A. M., M. D. Argaw, and L. Bayissa. 2015. The Impact of Training and Development on Employee Performance and Effectiveness: A Case Study of District Five Administration Office, Bole Sub-City, Addis Ababa, Ethiopia. Journal of Human Resource and Sustainability Studies 3:188-202. Badger, I. C., and E. S.-. Smith. 2000. Organizational Learning Style, and Competences: A Comparative investigation of relationship and transaction of relationship and transactionally orientated small UK manufacturing firm. 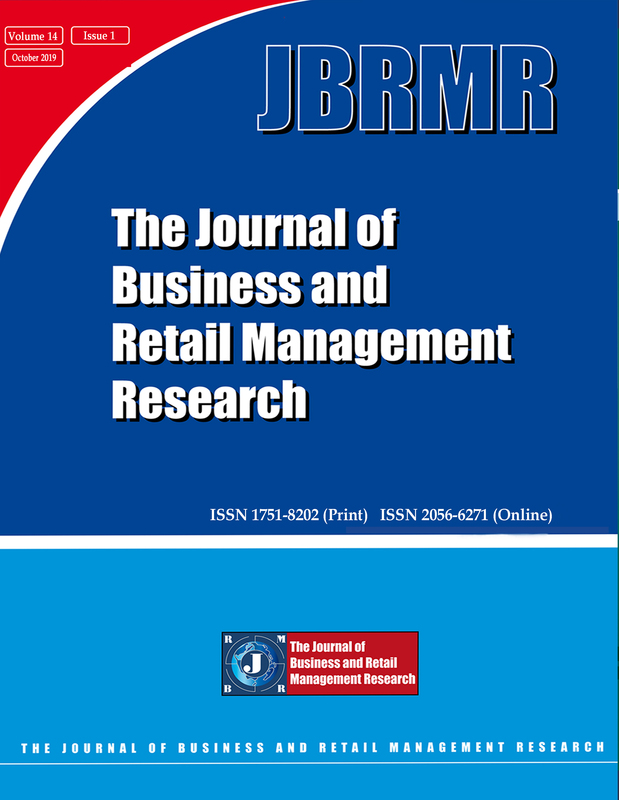 European Journal of Marketing Vol.34, No.5/6, :pp.625– 640. Baldauf, Artur, Cravens, and D. W. 2002. The effect of Moderators on the Salesperson Behavior Performance and Salesperson outcome performance and sales organization effectiveness relationship. European Journal of Marketing Vol.36 No.11/12 1367-1388. Barker, T. A. 1999. Benchmark of succesful salesforce performance. Canadian Journal of Administrative Science. Christiansen, T. Evans, Kenneth, J. L. R. Schlacter, and W. G. Wolfe. 1996. Training Differences Between Services and Goods Firms : Impact on Performance, Satisfaction, and Commitment. Journal of Professional Services Marketing Vol. 15(1). Cross, J., S. W. Hartley, W. Rudelius, and M. J. Vassey. 2001. Sales Force Activities and Marketing Strategies In IndustrialFirms. Journal of personal Selling and Sales Management Vol.XXI, No.3:p.199-206. Dhal, M. 2014. A Qualitative Study Of Training Effectiveness. Indian Institute of Management Kozhikode IIMK campus PO, Kozhikode - 673570. Hair, J. F., W. C. Black, B. J. Babin, and R. E. Anderson. 2010. Multivariate. Data Analysis: New Jersey: Pearson Prentice Hall. Hartwick, J.
Honeycutt, E. D., J. B. Ford, and C. P. Rao. 1995. Sales Training : Executives’ Research Needs. Journal of Personal Selling & Sales Management XV:4. Kak, A., and Sushil. 2002. Sustainable Competitive Advantage with Core Competence : A Review. Global Journal of Flexible Systems Management Vol 3. N0. 4:pg. 23. Kiumarsi, S., K. Jayaraman, S. M. Isa, and A. Varastegani. 2014. Marketing strategies to improve the sales of bakery products of small-medium enterprise (SMEs) in Malaysia. International Food Research Journal 21(6):2101-2107. Liu, A. H, and M. P.Leach. 2001. Developing Loyal Customer with a Value Adding Sales Force: Examining Customer Satisfaction and The Perceived Credibility of Consultative sales people. Journal of Personal Selling & Sales Management 2:147-156. Matsuo, Makoto, Kusumi, and Takashi. 2002. Salesperson’s Procedural Knowledge, Experience and Performance. An Empirical Study In Japan. European Journal of Marketing 36, 7/8:840. Navarro, J. G. Cegarra, Dewhurst, and F. W. 2006. Linking Shared OrganisationalContext and Relational Capital Trough Unlearning. An Initial EmpiricalInvestigation in SMEs. The Learning Organization 13, No.1:49 – 62. Osabiya, and B. Joseph. 2015. The effect of mployees’motivation on organizational performance. Journal of Public Administration and Policy Research 7(4):62-75. Peterson, and R. T. 1990. What Makes Sales Training Programs Successful ? . Training and Development Journal. Pettijohn, L. S, Pettijohn, and C. E. 1994. Retail Sales Training Practices and Prescriptions. Journal of Services Marketing 8, No.3:17-26. Punwatkar, S., and M. Varghese. 2014. Impact of Competencies on Sales Performance: Empirical Evidence on Salesmen at a Furniture Mart in Central India. Pacific Business Review International 6 (12). Rahman, M. K., S. Zailani, Abdullah-Al-Mamun, M. T. Jan, A. M. Ameziane, and A. O. Hazeez. 2015. The impact of salesperson’s training on organizational outcomes. . Journal of Scientific Research and Development 2 (8) 48-57. Rajan, S. 2015. Interpersonal Skills for Sales Force Effectiveness- A Survey on Indian Pharmaceutical Industry. International Journal of Economics &Management Sciences 4 (5, 1000249). Rentz, J. O., C. D. Shepherd, A. Taschian, P. A. Dabholkar, and R. T. Ladd. 2002. A Measuren of Selling Skill: Scale Development and Validation. Journal of personal Selling and Sales Management XXII, No.1:13-21. Retnawati, B. B., and Nuryakin. 2016. Developing Salesperson Performance: The Role of Customer Encountering Competence Portfolio, Relational Capital and Service Excellent Customer Heterogeneity. International Review of Management and Marketing Vol. 6(4):891-897. Rocco, R. A., and A. J. Bush. 2015. Exploring buyer-seller dyadic perceptions of technology and relationships Implications for Sales 2.0. Journal of Research in Interactive Marketing 10 No.1:17 - 32. Román, S., P. U. H. Karjaluoto, and R. Rodríguez. 2015. The influence of sales force technology use on outcome performance. Journal of Business & Industrial Marketing 30 (6):771-783. Roman, S., S. Ruiz, and J. L. Munuera. 2002. The Effect of Sales Training on Sales Force Activity European Journal of Marketing 36, No.11/12:1344-1366. Saleh, Y., and M. Omarb. 2015. Perception of Sales Managers, Sales Persons and Customers towards Sales Force Automation Technology in Palestine. Jordan Journal of Mechanical and Industrial Engineering 9 (1): 67 - 74. Spiro, R. L., and B. A.Weitz. 1990. Adaptive Selling: Conceptualization, Measurement and Nomological Validity. Journal of Marketing Research VI.XXVII:61-69. Sujan, H., and N. Kuman. 1994. Learning Orientation, Working Smart and effective Selling. Journal of Marketing 58:34-52. Taiwo, A. S. 2010. Strategic Marketing Strategies on the Performance of Firms in Nigerian oil and gas Industry. Journal of Emerging Trends in Economics and Management Sciences vol. 1 (1):pp. 23-36. Wilson, P. H., D. Strutton, and M. T. Farris II. 2002. Investigating the Perceptual Aspect of Sales Training. Journal of Personal Selling & Sales Management XXII, No. 2: 77-86. Zhang, Y., Y. Gao, X. Li, and D. Wang. 2015. Research on Operating Performance and E-business Marketing Strategy in Retail Enterprises based on Online Shopping. International Journal of Security and Its Applications 9,No.11:87-96.